Rev Brian Kennaway (‘The fault lies not with the Parades Commission but with Dunloy Lodge,’ July 21) accuses the members of Dunloy Lodge of “inability ...to keep their word”. He lays the “fault” for the parading impasse at the door of the Dunloy Orangemen. 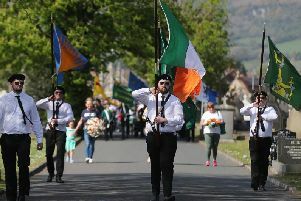 The Dunloy Orangemen are simply seeking to exercise the Orange tradition of parading, which since the days of William Johnston of Ballykilbeg has been a central feature of Orange culture. The right of free assembly, protected by law, is the hallmark of every democracy worldwide. Why should Orangemen in Northern Ireland be denied this universally accepted right? Rev Kennaway would have, of course, attended the meeting he refers to as an Orangeman. I wonder how many Orange parades he, as a member of the Parades Commission sought to restrict? Are the members of the Parades Commission paid for their work? Do former members receive a pension for their services? If ‘The Orange Order’ is ‘A Tradition Betrayed’ it is not Dunloy LOL 496 which has betrayed it.